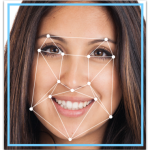 Blue Line Technology is a software company dedicated to the development of intelligent facial recognition, video security systems. The company’s overriding objective is to create effective video camera security systems that provide the highest level of protection for building occupants and property across sectors and industries. Collaboration between Blue Line’s software development team, led by Dr. George Michaels, and the company’s security specialists ensures that research and development focuses on the most critical, must-have, safety and security features. Most of Blue Line’s security experts are former law enforcement and armed forces personnel. Knowing who is coming into your building, whether they have permission to be there, and whether or not they pose a threat, empowers you to prevent criminal activity, workplace violence, and other problems. First Line, the company’s intelligent, facial recognition security system can be stand-alone or integrated to enhance the effectiveness of your existing security technology such as CCTV, and guard services. 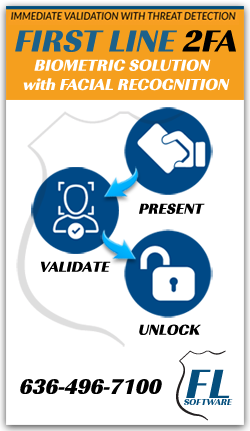 First Line is a non-intrusive, biometric verification system that can read, evaluate and verify a face while the person is walking up to a door, or through a metal detector or turnstile. Accurately recognize people in real time. Send notifications when it sees a person who may be a threat. Time stamp arrival and leaving times. Be configured to provide concierge services, such as sending a notification when it sees a VIP, valued customer or someone you need to intercept or greet at the entrance. Integrate with Wiegand access control key fobs. Operating the First Line security monitoring station requires no special computer skills other than the ability to read text and email alerts. You don’t even have to watch the screen. You can add and edit data on the unit or a secure web page. Adding new faces to the database is easy and takes a few seconds. Custom notes, alerts and response instructions can be added to each record. In tests, First Line is the fastest, real-time facial recognition product on the market.